MTA-NYCT Capital Program Management | CORE Environmental Consultants, Inc. MTA-NYCT Capital Program Management | CORE Environmental Consultants, Inc. 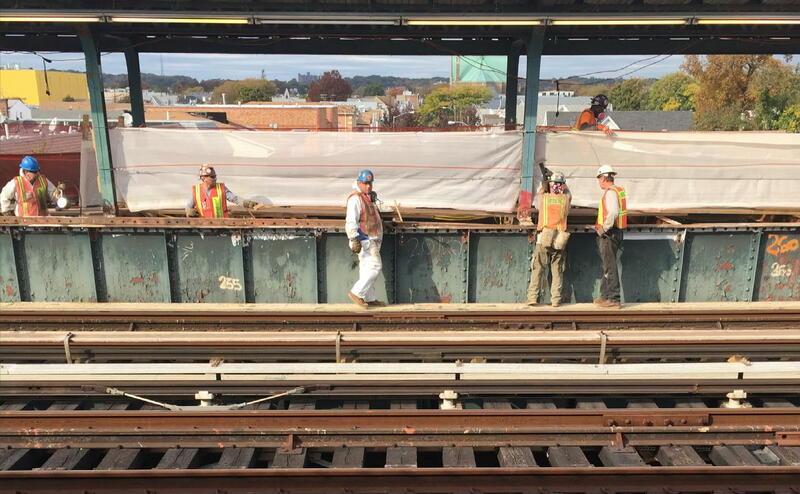 CORE is providing asbestos and lead testing, technical inspection, monitoring and oversight activities, design, construction inspection, and air sampling services for the MTA New York City Transit Authority facilities in the five boroughs of New York City contracts (CM-1320 and CM-1515). The work is being completed at active transportation facilities with services provided in accordance with federal, state, and local regulations. Asbestos and lead consulting services are provided on a task order basis and include on-site inspection of construction work, monitoring of lead and asbestos abatement including sampling and analysis of air samples. We also prepare the progress payment estimates; negotiate claims for change orders on behalf of the NYCT and process additional work orders. We were responsible for reviewing shop drawings, coordinating permit applications, performing construction reviews and developing phasing plans. A major component of the contract is the lead and asbestos remediation design services. We are providing cost-effective remediation solutions for a multitude of unique or typical facilities, structures and properties requiring both innovative solutions and standard designs, as needed. Design services include: cost estimating, specification writing, bid document preparation, submittal review, inspection, and variance preparation.